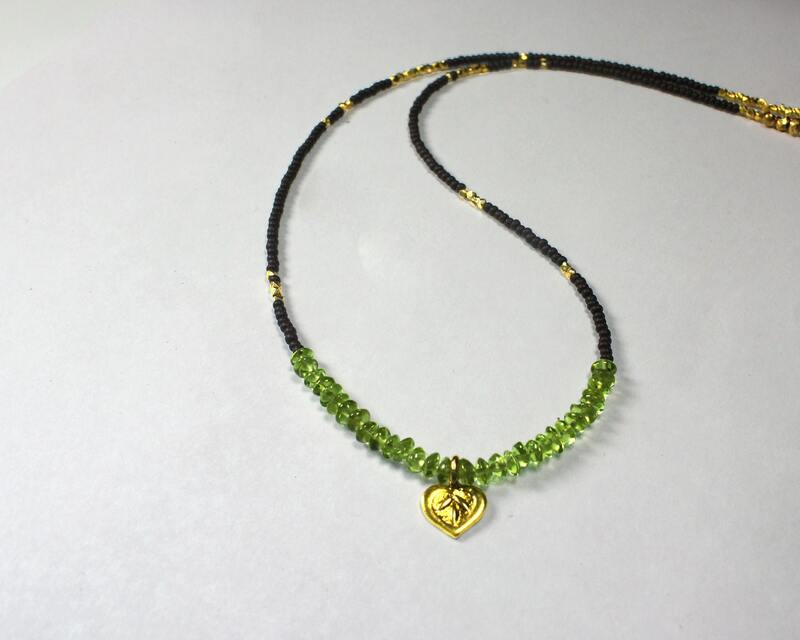 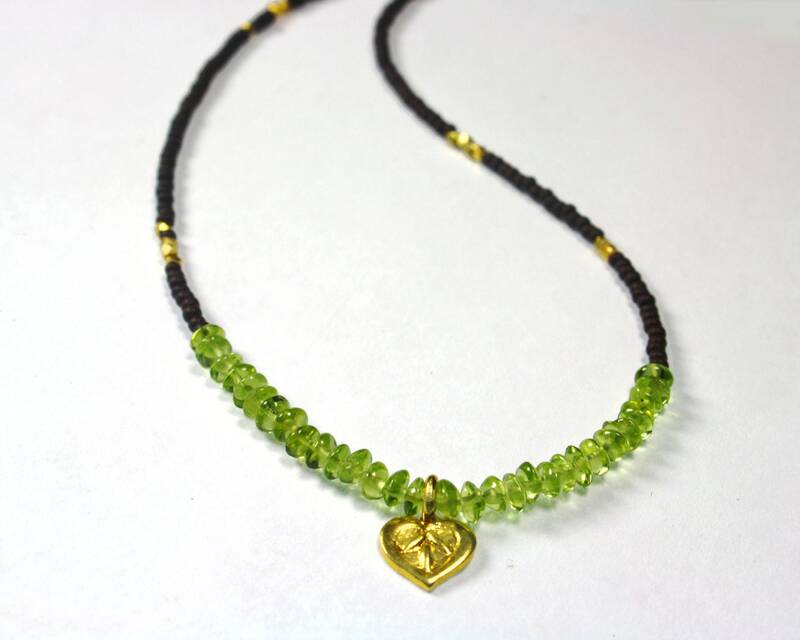 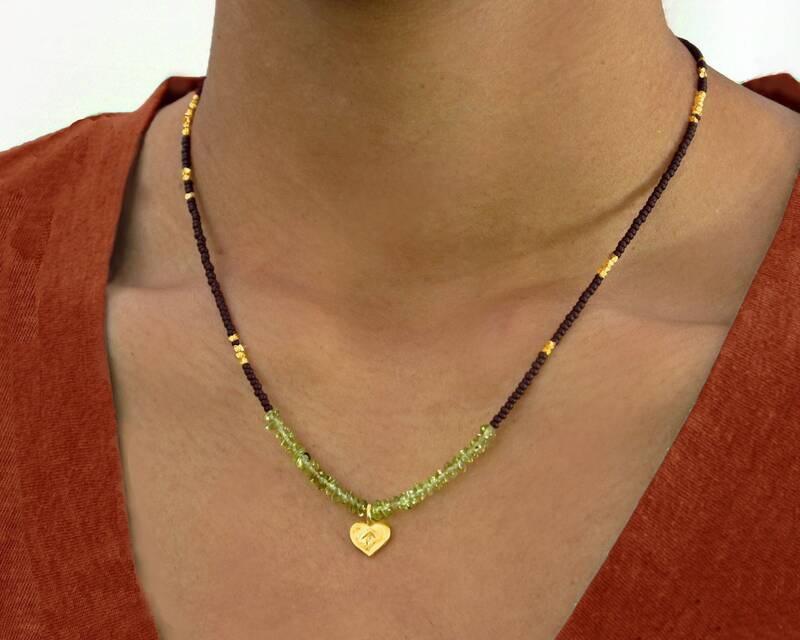 Tiny Peridot beads and brown seed beads, with faceted Vermeil beads and a Hill Tribe Vermeil lotus heart charm, put them together and you have the perfect necklace to dress up, dress down or layer. 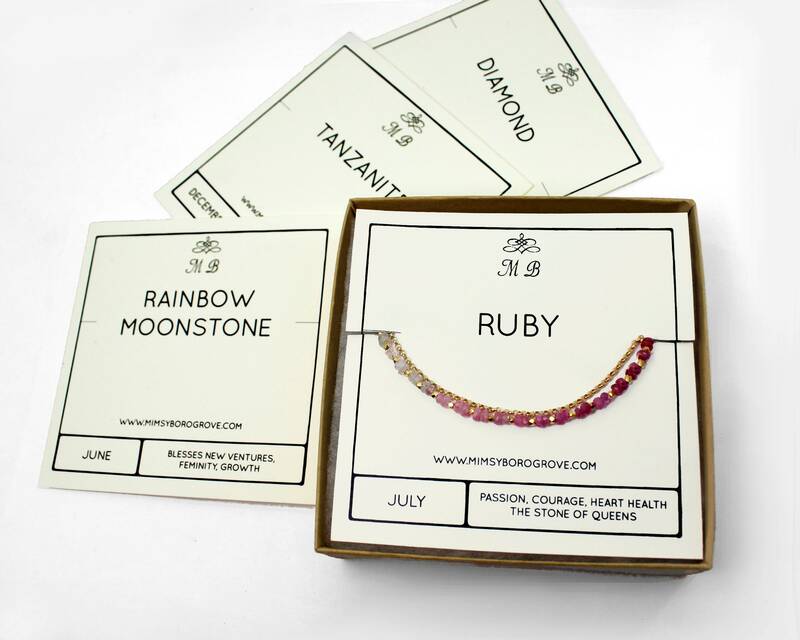 1 Pick your ideal length from the 1st drop down menu. 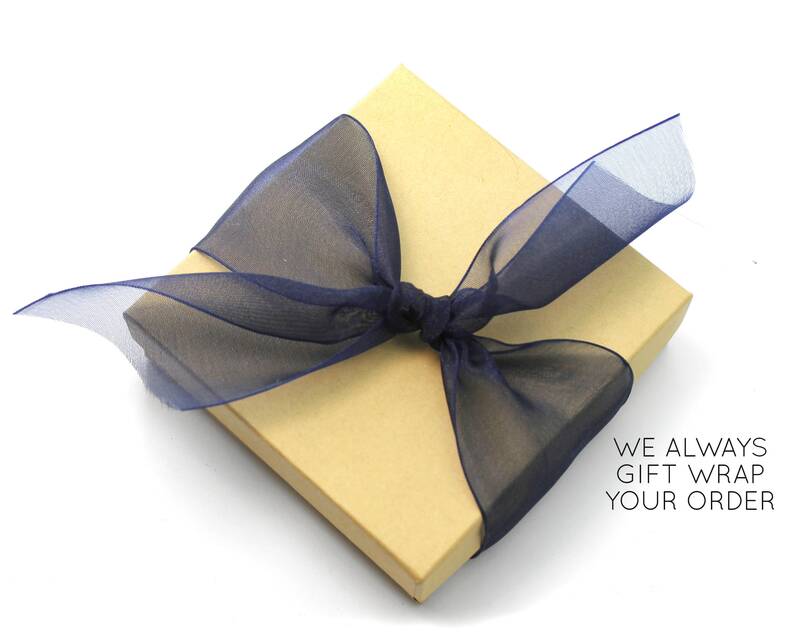 2 Pop it in your cart and check out.